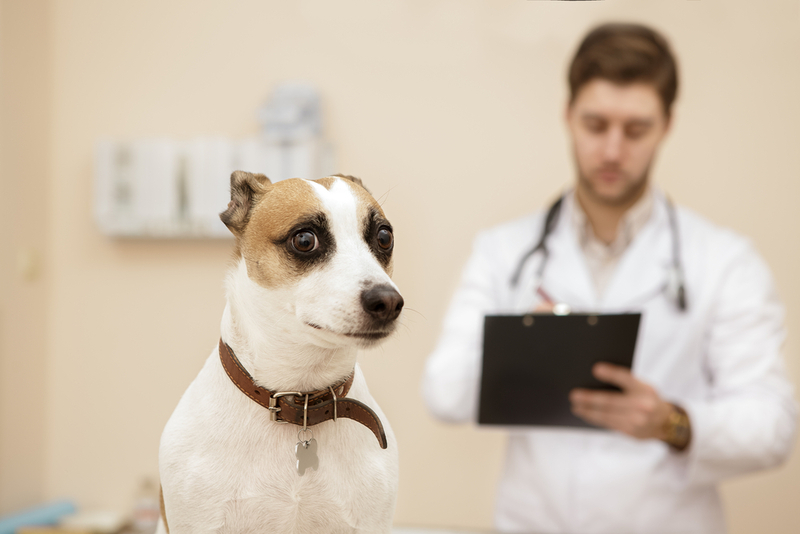 Does your pet dislike going to the vet? If your pet feels stress or anxiety at the vet, you aren’t alone. At Aspen Meadow, we offer Fear Free vet care that can provide your pet with a more relaxed and comfortable experience. We are proud to have a number of Fear Free-certified staff members on site. If your pet experiences fear and anxiety at the vet’s office, please let us know prior to arrival and we can make certain recommendations and accommodations for you. What is Fear Free Vet Care? Fear Free veterinary care was established in 2016 to provide education to veterinary professionals, pet owners, and the pet professional community on how to reduce stress, fear, and anxiety in pets. Veterinary professionals can become Fear Free-certified after they have received training in low-stress handling techniques. At Aspen Meadow, we strive to provide veterinary care to pets while causing the least amount of fear and stress possible. This also means that we are going to work hard to make sure your pet is comfortable from the moment you walk in the door to the moment you walk back out. Part of being Fear Free means that we try to do our best to reduce fear, anxiety, and stress in all of our patients. Fear Free veterinary care is different than traditional care techniques because it is designed to make veterinary visits more peaceful and relaxing for pets. For example, for pets that experience stress while sitting in the waiting room, we will always do what we can make accommodations. In some cases, it might be best for both pet and owner to wait for their appointment in the car. If there is a free exam room, we can also put anxious pets in a private room until it is time for them to be seen by the staff. Another way that we help your pet feel more at ease is to put him or her on a warm towel or yoga mat instead of the cold examination table surface. While in the exam room, we may also use pheromone and aromatherapy diffusers to keep your dog or cat calm. We also welcome comfort items for your pet. If a toy, blanket, or treat will help your pet relax, we encourage you to bring those items to your appointment. We will allow for playtime when possible so that your pet can make positive associations with our staff and the hospital. You may want to ask your veterinarian what types of items would be appropriate for your exam prior to the visit. Some pets may even feel uncomfortable with staff members of a certain gender. You can always let our staff know what is and isn’t comfortable for your pet, and we will do our absolute best to make appropriate accommodations. Our staff doesn’t just focus on making veterinary visits less stressful for pets but also their owners. If there is anything that we can do to make the experience more pleasant for you, please let us know. Anti-nausea medication can be helpful for pets that experience motion sickness during car rides. You may also want to withhold food prior to your visit to prevent carsickness. Don’t force your pet into their crate or carrier. Allow your cat or dog to enter voluntarily using toys or treats. It is a good idea to work on crate acclimation and training to help your pet feel more comfortable. Once you have your pet in the crate, make sure you try to carry it in a manner that doesn’t shift your pet around too much, which can make pets feel scared and uncomfortable. In the car, you should secure the crate or carrier to make sure that it doesn’t slide around during transport. You can also place drawer liners or rug pads inside the carrier and cover them with a towel to prevent your pet from sliding around in the crate during the trip. Using just a towel alone can still be fairly slippery, so something with grip should always be added underneath. If your pet won’t enter a carrier or is too large to comfortably fit into one, you can secure them into the car with a harness or seatbelt. Music and calming pheromones can help provide comfort to your pet while in the car. You can also make the temperature more comfortable for your pet. It is important that you leave yourself plenty of time to get to the vet, as rushing can cause stress for both you and your pet. During the drive, leave extra distance between you and other cars on the road to prevent the need to slam on the brakes. You can also accelerate and turn slowly to prevent your pet from sliding around in the car. All of these tips can help you get to the vet without causing unnecessary stress to your pet, which can also help the visit go a little smoother for you. Preventing stress is important to us. If you are in the Longmont, Colorado, area, contact Aspen Meadow for Fear Free veterinary care today at 303-678-8844. Our team is dedicated to helping your pet get the veterinary care they need without the stress that is often associated with veterinary visits.